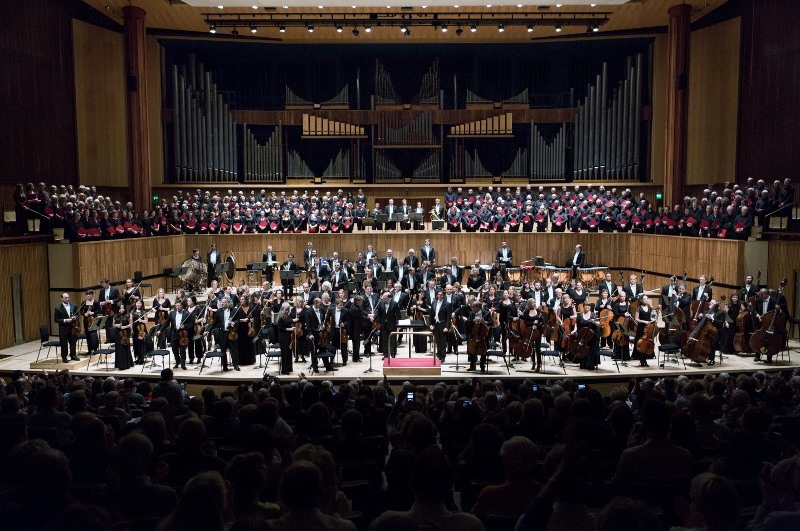 Gloucester Choral Society (with our friends from Bristol Choral and others) has now presented two magnificent performances of La Grande Messe des Morts by Hector Berlioz. 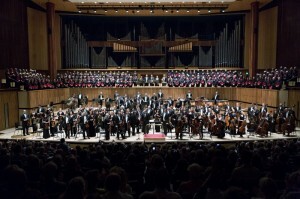 The picture shows Adrian Partington shaking hands with Esa-Pekka Salonen at the end of a triumphant concert in the Royal Festival Hall in September 2014 with the orchestra and chorus behind. It recalls a fantastic evening for all who took part. The critics were very complimentary about the chorus, which made all by Adrian and the singers feel even more worthwhile. We sang the work again in Gloucester Cathedral in November 2014 under Adrian’s baton and produced an even better performance to compliment the superb playing by the Philharmonia Orchestra. Quite simply, the best concert many in the audience had seen in the cathedral and the stuff of dreams for the singers!